When you turn on your furnace on a cold winter day, you don’t expect to hear a symphony of strange sounds. In fact, the only sound you should ever hear coming from your furnace is the gentle sound of air whooshing through the vents. Therefore, if you are noticing any bizarre, out of the ordinary noises coming from your system, it is definitely time to schedule your repairs with an HVAC contractor in Fairfield, OH. There are a number of concerning sounds that you may hear from your furnace at some point during its service life. If you would like to find out what some of these sounds mean, then keep reading below! We have provided a quick guide to odd noises. A loud screeching sound is often a sign that your furnace’s blower motor is not working as it should. A malfunctioning blower means that the heat produced by your furnace will not be able to successfully circulate throughout your home. Sometimes, screeching indicates that the motor is in desperate need of lubrication, but on the other hand, it might mean that it has stopped working altogether. This is why it is important to have a professional take a look at your system to determine the cause of the sound. 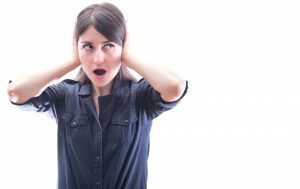 If the noise you are hearing sounds like metal-on-metal, this could be an indication of a serious problem with the blower wheel. If this is the case, it is important to shut the system off and contact an expert right away. This way, you can prevent further damage to the wheel, for more damage to the wheel means more damage to your wallet! Often, the banging or the booming you may hear coming from your furnace is indicative of a dirty burner, which can definitely be dangerous. The noise you hear is caused by a delay in ignition due to dirt build-up. The gas builds up, and when it finally ignites, a small explosion occurs inside your furnace. We do not recommend cleaning the burners yourself. During your annual maintenance visit, your technician should clean out the burners to ensure the safety of your furnace. Sure, rattling may not seem like the most threatening sound, however, a rattling furnace is definitely a sign that something is seriously wrong with your system. A broken heat exchanger may just be the culprit, and this is something that needs to be addressed right away! Excess heat in your furnace can cause the heat exchanger to crack, which has the potential to allow carbon monoxide and other hazardous gasses into your home. So, if you hear rattling, be sure to turn off your furnace and contact a professional right away. Annual preventative maintenance is the best way to ensure that your furnace keeps working as it should, reducing the need for repairs and lowering the risks associated with operating a faulty furnace. Be sure to schedule your maintenance with a professional soon! To schedule your maintenance or repair services, contact the experts at Bartels Heating & Cooling today. © 2012–2019 Bartels Heating & Cooling. All rights reserved.